The Corpus Christi Animal Control and Vector Services received a confirmation of St. Louis encephalitis virus in a mosquito in the 1000 Block of Bobalo St. from a test that was submitted July 19, 2016. Vector Services will conduct continuing surveillance of mosquito traps in the immediate area for signs of the Culex species of mosquito responsible for St. Louis encephalitis virus. The need to spray a larger area is not necessary based on the entomology of the Culex species mosquito and the normal travel distance of this mosquito. Vector Control will be conducting the aerial spray in the evening, and at dusk, since that is the time the Culex is most active. Residents are reminded to check their property for standing water and to avoid, if possible, outdoor activities at dusk and dawn, wear long sleeve shirts and long pants. Use appropriate mosquito repellent with DEET for themselves and their children. Please call 361-826-2489 if you wish to report abandoned property or high grass or standing water. The Corpus Christi Animal Care services would like to thank the community for their outpouring of care and support during this recent tragedy on the beach. Animal Care Services took custody of the dog Cona after the crash that claimed his owners lives. The staff along with friends of the victims worked together and were able to contact family to take custody of Cona. Again thank you for all your thoughts and prayers during this difficult time. The Corpus Christi Animal Control and Vector Services received a confirmation of West Nile virus in a mosquito in the 400 Block Bartlett from a test that was submitted July 12, 2016. It is with deepest regrets that we must inform the community that our Chief of Police, Floyd Simpson, was involved in a motorcycle accident this afternoon in Port Aransas, Texas. Despite all efforts by medical personnel, Chief Simpson succumbed to his injuries at approximately 5:30pm today. Please keep his family and our officers in your thoughts and prayers. More information will follow at a later time. 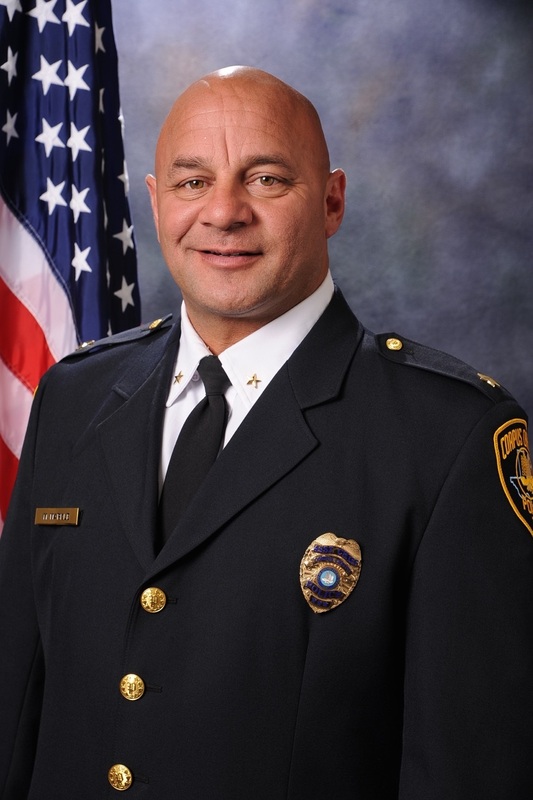 Floyd D. Simpson became Corpus Christi’s 22nd Chief of Police on March 12, 2012, following a distinguished career with the Dallas Police Department where he retired at the rank of Assistant Chief. Chief Simpson brought extensive management experience, where as Assistant Chief in Dallas he oversaw both the Patrol and Administration Bureaus during his 25 year tenure. Chief Simpson achieved a Bachelor of Science degree from Western Illinois University and earned his Master’s Degree in Business Administration from Amber University. He was a graduate of the Police Executive Research Forum Senior Management Institute, the FBI National Academy, and the Law Enforcement Management Institute of Texas. He served on the Executive Committee of Special Olympics Texas – Law Enforcement Torch Run. Chief Simpson was married for 27 years and was the proud father of four children. Chief Simpson was an avid runner having completed four marathons, and also enjoyed riding his motorcycle during his few spare moments away from work. Corpus Christi Animal Care Services hosted a party at their facility located at 2626 Holly Road to lift the spirits of a 12-year-old boy who was attacked by a dog last month. A 12-year-old boy was taken to the hospital by ambulance after he was attacked by a dog on the 800 block of Vancura Drive Tuesday night. Corpus Christi Police responded to a call of the attack at 7:02pm Tuesday night and discovered the 12-year-old boy had injuries to his face and arms. The Corpus Christi Animal Care Services captured the dog and have scheduled the dog to be euthanized. The dog will then be taken to Austin for an examination for communicable diseases. Police Officers have identified the owner of the dog and there is a consideration for criminal charges to be applied against the dog’s owner. Detectives will gather all the information to identify what criminal charges may be appropriate and by this report, there is no information on the latest condition of the 12-year-old boy. There is no information available about previous history of the dog or the identity of the breed or size of the dog that caused the injuries to the 12-year-old boy.